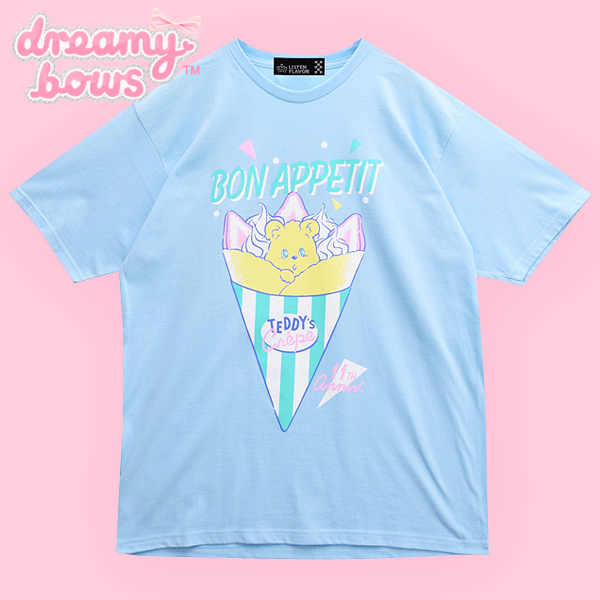 Presenting one of Listen Flavor's adorable 11th anniversary designs~ This Bon Appetit Teddy design is super cute and versatile. 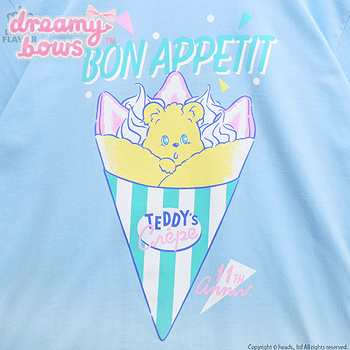 This sweet cutsew top features an adorable bear wedged inside a strawberry and cream crepe with "Bon Appetit" written in retro pop font across the top. 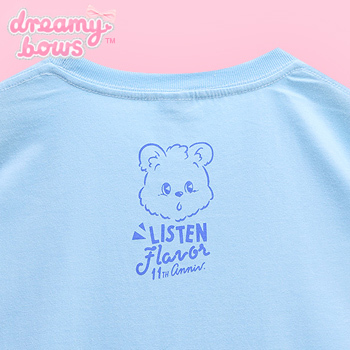 The fabric is slightly thinner and comfortable with some stretch, the top is baggy and great for all sizes!